At 360FCU we want to help you pursue more of your financial goals, live more of your financial dreams. So we offer you a comprehensive, well-rounded program of financial planning and investment options. Through our alliance with LPL Financial, you can benefit from professional money management, retirement and education planning, investment guidance on stocks, bonds, mutual funds and annuities for a productive, balanced portfolio. Always tailored to your risk tolerance. All designed to help meet the needs of your family, your business, your future. Request a follow-up call from the 360 Investment Center. 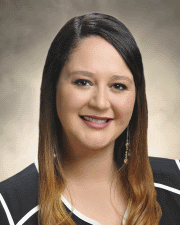 Laura DePergola, MBA, a financial consultant with 360 Investment Center, takes a personal approach to understanding client needs while developing long term strategies to help clients pursue financial success. Laura prides herself on having an open architecture environment, meaning her clients will receive conflict-of-interest free advice, in a comfortable and easy to understand atmosphere. LPL financial does not manufacture any financial products, which means Laura can offer unbiased financial advice. Laura works alongside clients to help them work towards achieving their most meaningful financial goals and develops customized financial strategies that incorporate retirement planning, college planning, and succession planning. Additionally, Laura meets regularly with clients to review performance, reconfirm financial goals, and make adjustments as lifestyles and economy changes. Laura received the Women’s Choice Award for 2015-2016! Women’s Choice Award for Financial Advisors and Firms is granted based on rigorous research, 17 objective criteria and additional points of reference that obtain feedback regarding the advisor’s service and practices. The Women’s Choice Award is the only recognition program for well-qualified advisors who are committed to the women’s market and serving their female clients. Achieving this award reaffirms the commitment Laura DePergola has to extraordinary service in addressing the financial needs of women and their families. Laura will be in USA Today in 2016 along with five other recipients for the state of CT! Laura holds Series 7, 65 and 63 securities registrations with LPL Financial. She is also licensed with the state of Connecticut and Massachusetts to offer life insurance. Laura graduated with a degree in business administration from Eastern Connecticut State University and her MBA from University of Hartford. Laura is active in the community and is a member of United Way’s Emerging Leaders Society, and a founding member of a Women’s Leadership club at University of Hartford. In her spare time Laura loves to run, hike, and travel with her husband. Request an Appointment with Laura. View Laura’s FINRA Broker Check Profile. LPL Financial is one of the nation’s leading financial services companies and largest independent broker/dealer 1. Headquartered in Boston, San Diego, and Charlotte, LPL Financial and its affiliates offer industry-leading technology, training, service, and unbiased research to financial advisors, financial institutions, and institutional clearing and technology subscribers. Securities and insurance products offered through LPL Financial. Member FINRA/SIPC. 360 Federal Credit Union and 360 Investment Center – Not registered broker/dealer(s). Not affiliated with LPL Financial. 1) Based on total revenues, Financial Planning Magazine – June 1996-2015. This site is designed for U.S. residents only. The services offered within this site are offered exclusively through our U.S. registered representatives. LPL Financial’s U.S. registered representatives may only conduct business with residents of the states for which they are properly registered. Please note that not all of the investments and services mentioned are available in every state.